Olivier Zunz, Commonwealth Professor in the Department, participated in an event launching a new permanent exhibition at the Smithsonian’s National Museum of American History about philanthropy, inspired in large part by his book, Philanthropy in America: A History (Princeton UP, 2012). He was joined on stage by David Rockefeller and Warren Buffett. With the launch of the Philanthropy lnitiative, the National Museum of American History embarks on a long-term project to collect research, document, and exhibit materials relating to the history and impact of American philanthropy. Rotating exhibits, programs, and public outreach will explore the collaborative power of giving in all forms and at all levels across a wide spectrum of issues and movements. Come study the world's greatest book on democracy at the institution founded by America's greatest democratic thinker. Over two mid-summer weeks on the idyllic grounds of Thomas Jefferson's historic University of Virginia, 16 NEH Summer Scholars will read and discuss the entirety of Alexis de Tocqueville's Democracy in America with two leading experts on Tocqueville and his thought: Arthur Goldhammer (Harvard) and Olivier Zunz (University of Virginia). BackStory on "Birth of a Nation"
Tom Klubock has been awarded the Forest History Society’s Charles A. Weyerhaeuser Award for the best book on forest and conservation history for La Frontera: Forests and Ecological Conflict in Chile’s Frontier Territory (Duke, 2014). If you have been following debates about science and policy related to global warming, you will be interested to hear this clip of Sarah Milov, Assistant Professor in the Department, speaking on SiriusXM. She discusses the ways in which these debates may or may not track earlier debates about the science and policy related to smoking. Professor W. Bernard Carlson, chair of the University of Virginia Department of Engineering and Society, has earned a Sally Hacker Prize and a William and Joyce Middleton Electrical Engineering History Award for his book, Tesla: Inventor of the Electrical Age. He is the only author to achieve two Sally Hacker Prizes since the Society for the History of Technology established the award in 1999 to honor exceptional scholarship appealing to a broad audience. Carlson first earned the award in 2008 for his book, Technology in World History. The William and Joyce Middleton Electrical Engineering History Award is bestowed by the Institute of Electrical and Electronics Engineers. Princeton University Press, which published Tesla, says: “Nikola Tesla was a major contributor to the electrical revolution that transformed daily life at the turn of the twentieth century. His inventions, patents, and theoretical work formed the basis of modern AC electricity, and contributed to the development of radio and television. Like his competitor Thomas Edison, Tesla was one of America's first celebrity scientists, enjoying the company of New York high society and dazzling the likes of Mark Twain with his electrical demonstrations. An astute self-promoter and gifted showman, he cultivated a public image of the eccentric genius. Even at the end of his life when he was living in poverty, Tesla still attracted reporters to his annual birthday interview, regaling them with claims that he had invented a particle-beam weapon capable of bringing down enemy aircraft. Tesla has been translated into eight languages and has sold more than 45,000 copies. Carlson’s accomplishments also include establishing a strong network for support for UVA students interested in entrepreneurship, and his efforts helped lead to the Faculty Senate’s approval last spring of a University-wide entrepreneurship minor. If you make it to this year’s History Film Forum, in Washington DC, be sure you make it to the live show by Brian Balogh and the rest of the Backstory Boys! Information about the Forum is HERE. For those of you following the political contest in the GOP, you may be interested to read Brian Balogh’s analysis of the branding exercise that is happening at the same time! Alon Confino,Professor in the Department, was interviewed on Public Radio's "Here and Now," discussing the story about the Israeli prime minister's recent remarks blaming a Palestinian cleric for inspiring Hitler's turn to a policy of extermination. The Nau Center for Civil War History, which promotes scholarship, teaching, and public outreach regarding the United States in the era of the Civil War, launched this October. The Center‘s expansive program will include support for graduate and undergraduate research, funding for lectures and conferences designed to reach academic and lay audiences, a book prize for superior scholarship in the field, a postdoctoral fellowship, and undergraduate internships at public historical sites and institutions. 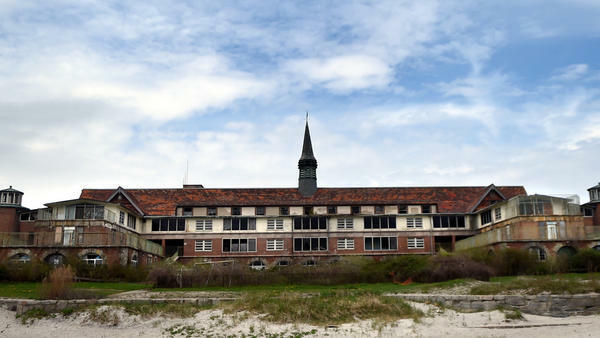 The Hartford Courant makes important use of Andrew Kahrl’s work on the closure of the Connecticut shore by private building, and unusual level of notice paid to an article in the Journal of American History. Those of you following the place of history in thinking about the meanings of Katrina will be interested in this piece on one African American beach transformed by the storm. It features discussion by Andrew Karhl, Assistant Professor in the Department. The Richmond Times-Dispatch ran a recent article remembering the distinguished life of Julian Bond. 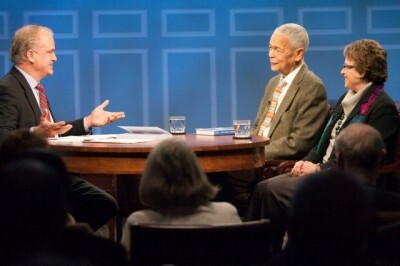 The Department mourns the death of Professor Emeritus Julian Bond. Read Phyllis Leffler's tribute to his life, work, and character. Allison Elias, PhD ’13, who is now a Visiting Assistant Professor at Cornell, was interviewed for the CNN documentary program, "The Seventies", that ran weekly in June and July. 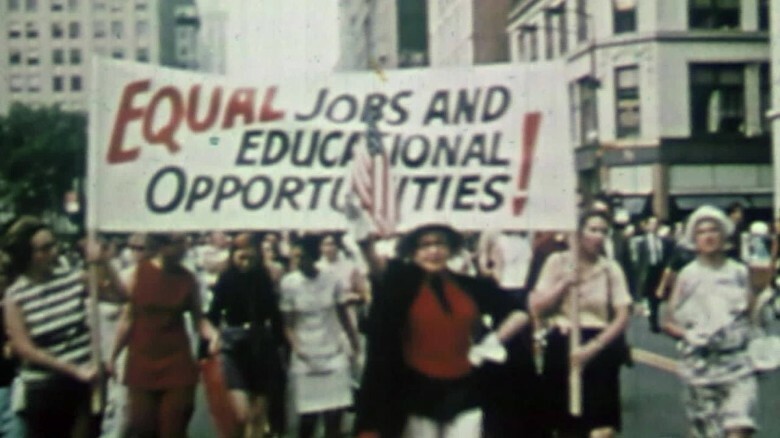 Elias discussed the shift in gender roles of the time and the resulting opportunities afforded to women, among other changes that the feminist movement brought in the 1970s. Watch clips on CNN's website. James Ambuske, PhD candidate in the Department, was named a King George III fellow by the Omohundro Institute of Early American History and Culture and King’s College London. The Georgian Papers Program is a partnership of King’s College and the Royal Collection Trust. Omohundro Institute fellows are funded through the Lapidus Initiative, and will spend a month each in the archives of the Georgian monarchs, conducting their own research, assisting the Archives staff in the initial stages of planning for digitization of the collections and cataloguing, and participating in academic exchange with colleagues at King’s. Read more about the program and its fellowships HERE. Congratulations to Cecilia Márquez, graduate student in the Department, who was awarded a Mellon/American Council of Learned Societies Dissertation Completion Fellowship for 2015-16. The announcement, and more about Cecilia's work, can be read HERE. The Department is delighted to announce that Professor Libby Thompson has been named a fellow of the Carnegie Corporation of New York, an award that will allow her to continue her exciting work on liberalism in the Middle East. Read the full story in UVA Today and more about the fellowship program HERE. Mary Barton, a PhD candidate in the Department, has published an article in Diplomatic History, the flagship journal of that field.